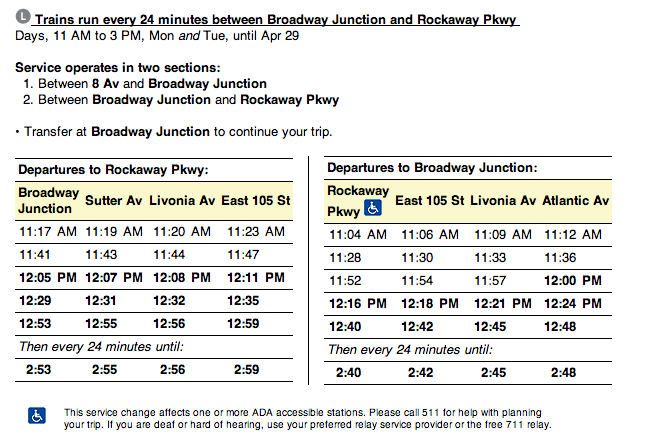 Welcome to Bushwick- home of the repetitive subway service changes and interruptions! Week after week, the same service changes are going down- whether it is delays, skipped stops or suspended service. The worst part is there seems to be no end in sight (Noooooo...)! Last week there was some hope of the M and J getting back on track (figuratively and literally) but the MTA fooled us and it looks like M & J are being a bit stubborn (as usual) and continuing to be ridiculous in the upcoming week, boooo. 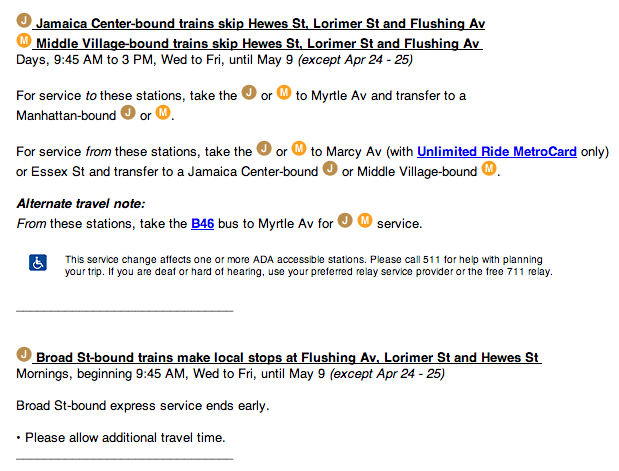 Check mta.info for any last minute changes! Happy Riding!